Warm up the beanz in your hand and watch them move around. Each beanz has a character on it e.g. 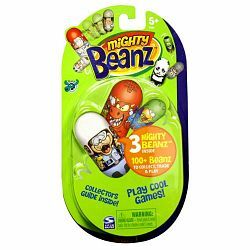 bunny rabbit, ninja and you get 3 random beanz per pack.